Get the most out of Pinterest. Whether you’ve begun using this fast-growing social network or have only heard of it, “Your Guide To Pinterest” will quickly show you how to get the most out of this occasionally overlooked virtual pinboard. 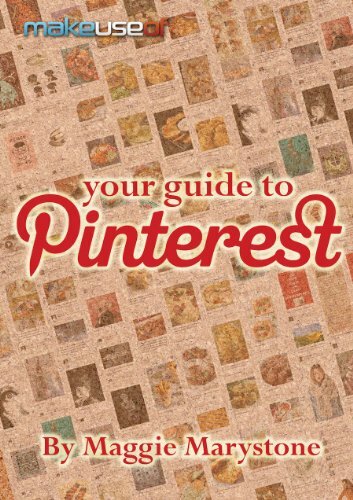 From Maggie Marystone of thisabandonedhouse.com, this guide outlines everything there is to know about Pinterest. How many times have you been browsing the internet and come across an image or product you want to remember? All the time, right? Whether you find a great gift for someone in your life, a must-have product for your home, a hairstyle you might want to try, or a recipe that sounds delicious, Pinterest is a great way to save, organize, and share the products and ideas you like. Pin your interests. Back in 2009, Pinterest arrived on the social network scene. Since then, it has attracted over 20 million loyal users. In fact, a recent report by The Social Habit notes that 21% of social media users have a Pinterest account, and that number just keeps on growing. Forbes calls Pinterest the third most popular social networking site (after Facebook and Twitter). What is it about Pinterest that keeps users signing up and coming back? The combination of a beautiful interface and compelling con- tent is the key to Pinterest’s success. By providing a way for you to save images to a single web page, Pinterest helps users easily organize and share content.